The Index though opened positive, but saw a slow and steady downhill to make another low, the sixth in 6 days to close at 8530.80, small loss of 12.15 points. The broader market was also weak, with just 508 advances to 993 declines. Expiry Range as per Option Table comes to 8500-8600. Call option 8500-8700 added huge 43.34 lacs OI with profit booking seen at 8900 and above strike prices. 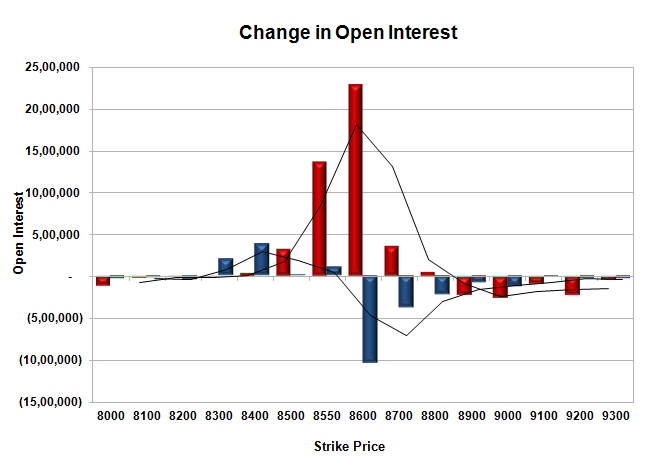 Put option 8550-8300 added 7.03 lacs OI with short covering seen at 8600 and above strike prices. Nifty Open Interest is at 1,10,23,900 down by 58,68,775, whereas April series added 50.51 lacs with decrease in price, mostly roll-over with huge long liquidation. Bank Nifty Open Interest is at 18,26,275 down by 2,92,700, whereas April series added 2.79 lacs with decrease in price, mostly rollover with long liquidation. FII’s sold huge 16.08 lacs Futures, which includes 46184 contracts long liquidation and 18150 contracts short build-up, with decrease in net OI by 28034 contracts (includes 273067 longs to 337401 shorts for the day) and the Average Price comes to 9000.34. FII’s Index future open contract as on date is 726591 Longs to 185128 Shorts, net long 541463 down by huge 64334 contracts. Initial and best support 8500, with highest OI of 58.54 lacs and below that at 8400 with huge OI of 50.07 lacs. 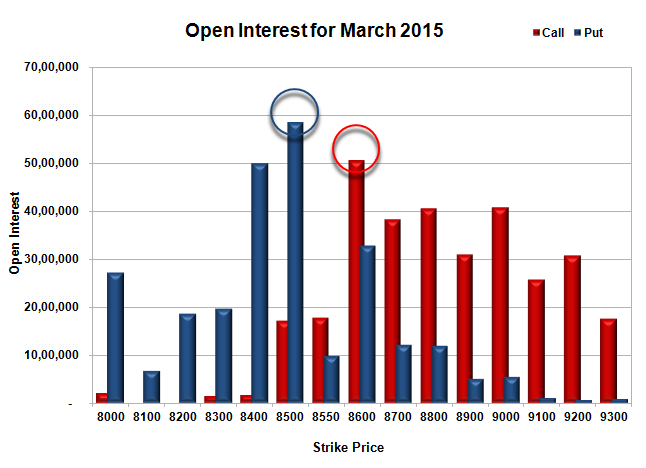 Initial resistance at 8550, with OI addition of 13.61 lacs and above that at 8600 with huge OI of 50.49 lacs. 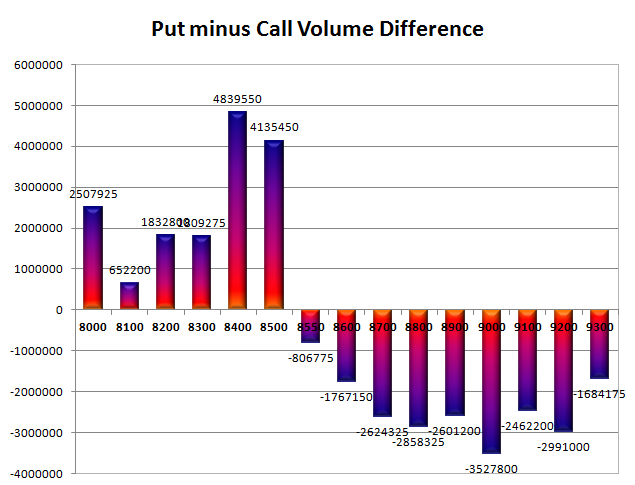 Day Range as per Option Table is 8461 - 8616 and as per VIX is 8472 - 8589 with 8540 as the Pivot.